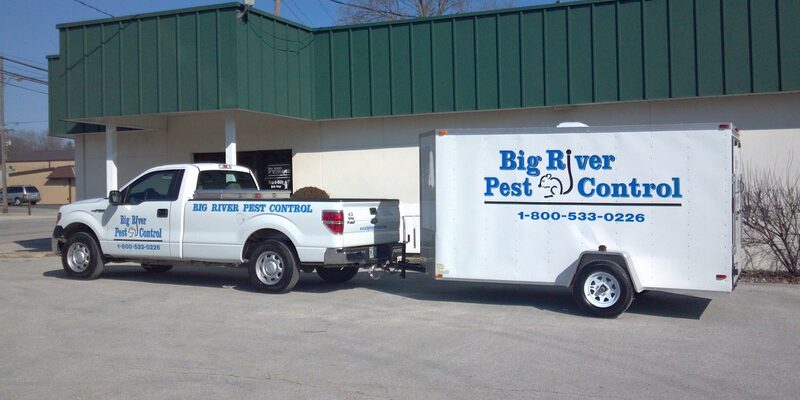 Big River Pest Control is proud to be the leading pest control provider, based in Hannibal, Mo and to provide service throughout the Illinois, Missouri and Iowa area. Locally owned and operated with over 70 years combined experience, our commitment to our community and customers has made us a premiere pest management company. We offer dependable, flexible, effective termite, pest and environmental services. Commercial and Residential clients can choose from a range of preventive and responsive pest management services, all delivered by trained and dedicated pest control professionals. Call today and one of our professional inspectors will come to your home or business, at a time convenient for you, and prepare a customized pest management solution.